I found it when I started writing. I finished Highlander’s Hope in six months. After two title changes and massive rewriting and cuts (it was originally 156,000 words and is now 84,000) I was ready to submit. What inspired to write this book? Regency propriety and Scottish boldness clash in this romantic suspense flavored with a liberal dose of humor and a dash of inspiration. Disdainful of marriage, Yvette Stapleton is an independent heiress, fleeing for her life. Ewan McTavish is a titled Scotsman tangled in international intrigue and determined to make her his own. Tempers flare and sparks fly when he exploits Scottish law to claim her as his lawful wife—without the benefit of a ceremony. Though Highlander’s Hope is a Regency historical, the novel dares to go beyond the typical trappings of the era. 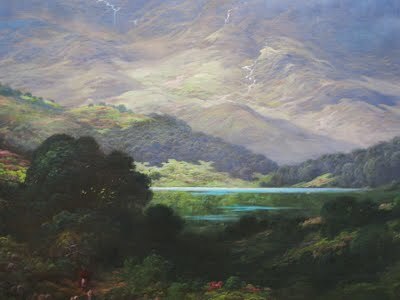 Much of the story takes place in Scotland which adds a nice element. I was inspired to write the story after a scene, the Banbury Inn scene, popped into my mind one day. I pondered it a bit and thought, What the heck, I’ll give it a try. Tell us how you got the call, if traditionally published or if self-published, why you made the choice to do so. After I finished the first draft of Highlander’s Hope (it had a different title) I submitted it to three publishers. I changed the title twice, drastically cut and rewrote it before attending a writing conference. I had a request for a full and three requests for partials from agents and editors. Again, they all passed but the agent that had requested the full gave me some invaluable tips. So back I went to my computer and tweaked the manuscript again. I submitted a query to Soul Mate Publishing and had a request for a full in four days. Four days after submitting the full, I had a contract offer for Highlander’s Hope. I nearly broke my husband’s foot hopping up and down I was so excited. He thought somebody had died. I made the choice to go the route of traditional publishing, because quite frankly, I had no idea how to go about self-publishing. I was so new to the whole industry I pursued the only avenue I knew anything remotely about. Is this part of a series? If so, tell us about the next book. If not, tell us what’s next for you. Highlander’s Hope is the first stand-alone book in my Blue Rose Trilogy. The second book, The Viscount’s Vow, is at the publishers, and I’m working on the third book, The Earl’s Enticement. I have a Regency stand-alone I want to write next, and then a six-book highlander’s saga. The saga will be Regency based too with those Scots thrown in to add a bit of bold spiciness. We ask this of all our guests: If your house was burning down, what five books would you save? Don’t hate me, but I wouldn’t save books. I’d save photo albums, videos of my kids, and my dogs. I do have two antique poetry books that my found in an abandoned house. If I rescued any books, it would be those two. Finally, as this is a tearoom, what is your favorite tea? I hope it’s all right, but I have a couple of favorites. Orange spice and licorice spice. 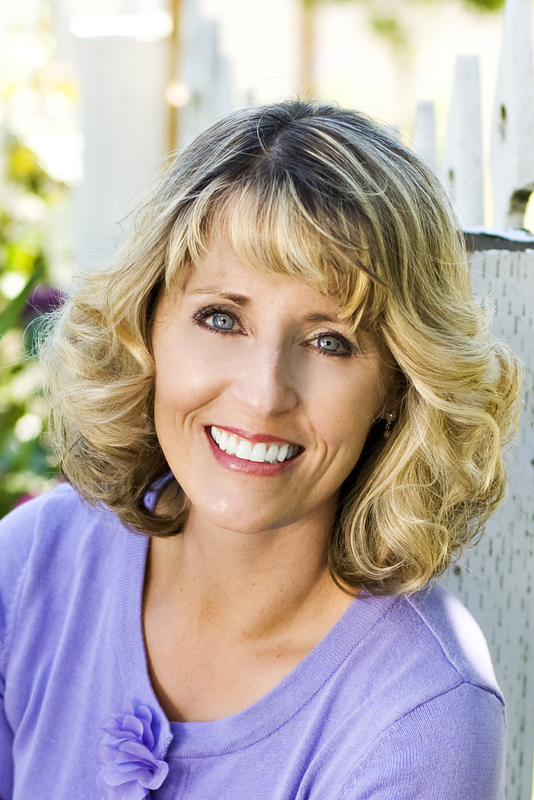 Contact Collette on her website, blog, twitter, and Facebook. She was the heiress determined to never marry. Shipping heiress Yvette Stapleton is wary of fortune hunting men and their false declarations of love. She’d rather become a spinster than imprisoned in the bonds of marriage. At first, she doesn’t recognize the dangerously handsome man who rescues her from assailants on London’s docks, but her reaction to Lord Sethwick’s passionate kisses soon have her reconsidering her cynical views on matrimony. He was the nobleman who vowed to make her his own. Amidst murder and betrayal, Ewan attempts to win Yvette’s forgiveness. But is it too late? Has his manipulation cost him her love? This book sounds like my cup of tea (apols for pun, couldn’t resist!) I had a look on Amazon UK but it’s not there so far, when is it going to be released? I’m so sorry it’s not there yet. There was a last minute snafu with the publisher, and they had to delay the release. They hope to have it up in the next day or two. Congrats on you first novel! It was great to read your own story, as well. Wishing you many successes! Thank you, Liz! It’s been a fabulous journey. I think you nailed the big reason why I love reading so many highlander novels: “Regency propriety and Scottish boldness.” I can’t wait to read your debut, Collette. Welcome to the Tearoom. Please visit any time! I took my two favorite genres and “married” them. A bit of a stretch for those that like pure Regency or pure Highlander but it so worked for me. Kind of like mixing chocolate and peanut butter together. Some people like them by themselves and others love the combination. I hope people like the two combined. Wonderful interview. The excerpt was great. I tweeted. Welcome to the Tearoom Collette! It’s great to have you here. Best of luck with your debut and your future books. 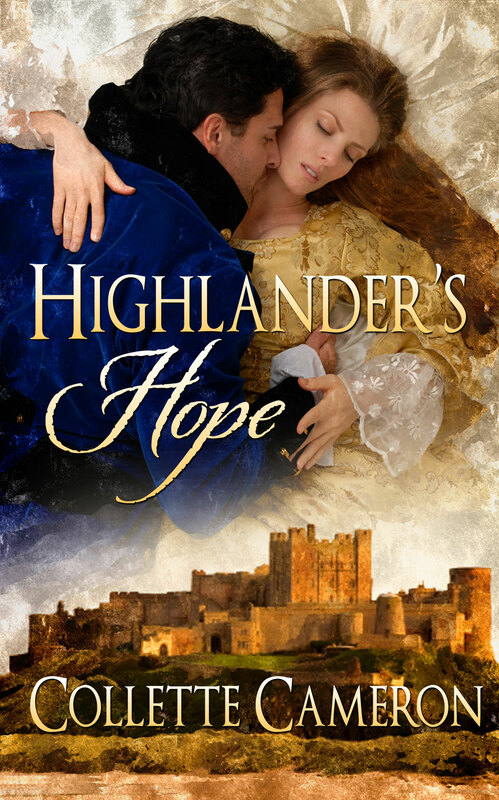 Highlander’s Hope sounds great, and I love a heroine with spirit and a strong backbone. I was really tickled when I was asked to be a guest here today. My heroines are plucky, but they also can be vulnerable. I have them doing and saying things I’d never dare too. I was thrilled that yOu accepted. I have to agree with you I also would save my photo albums before a book. I am falling in love with Ewan, any man that loves someone as much as he loves Yvette and is so loyal to his family is a good man to love. Ewan’s quite a guy, but I have a feeling you’re going to adore Ian and Rory too. Inspired to hear your path to publication! And I like seeing a Regency that has a bit more going on with it. Congrats! I took a chance and gambled other readers might be intrigued with a non-traditional Regency. And what’s not to like about highlanders?